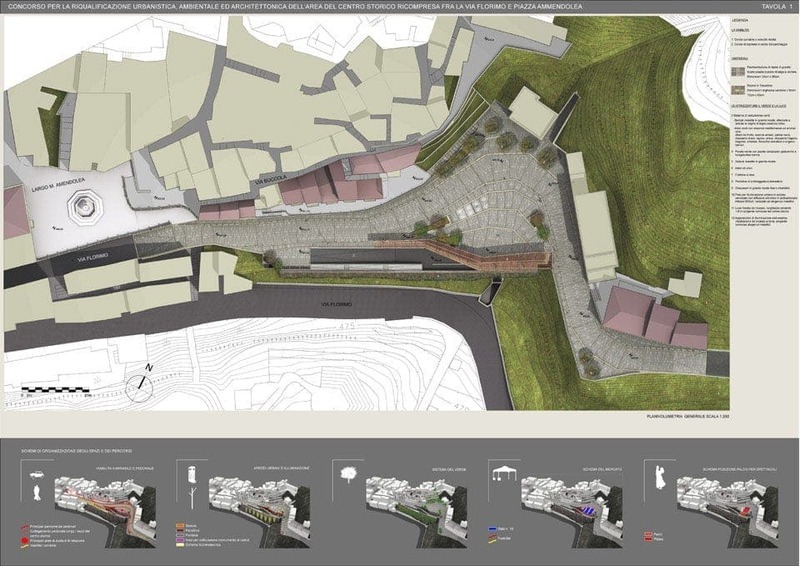 Design team: Bianchini e Lusiardi associati (team leader) / Catello Matarazzi / Massimo Mortelliti / Donato Calderoni. 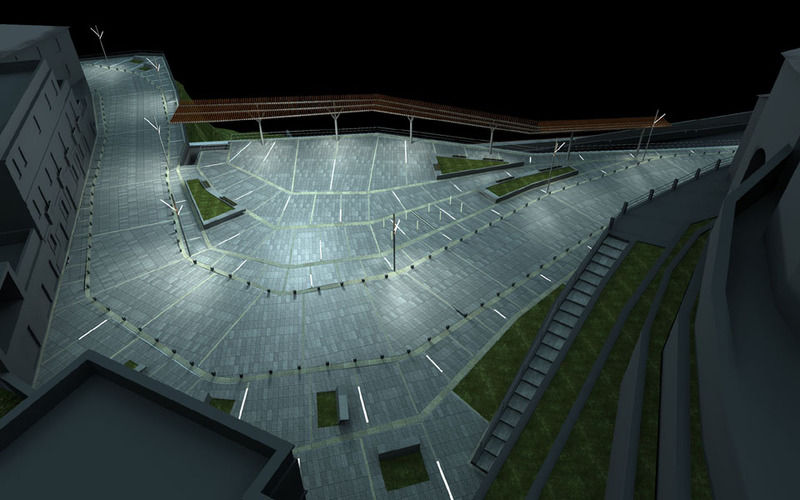 We did: schematic design, design development, and construction documents. 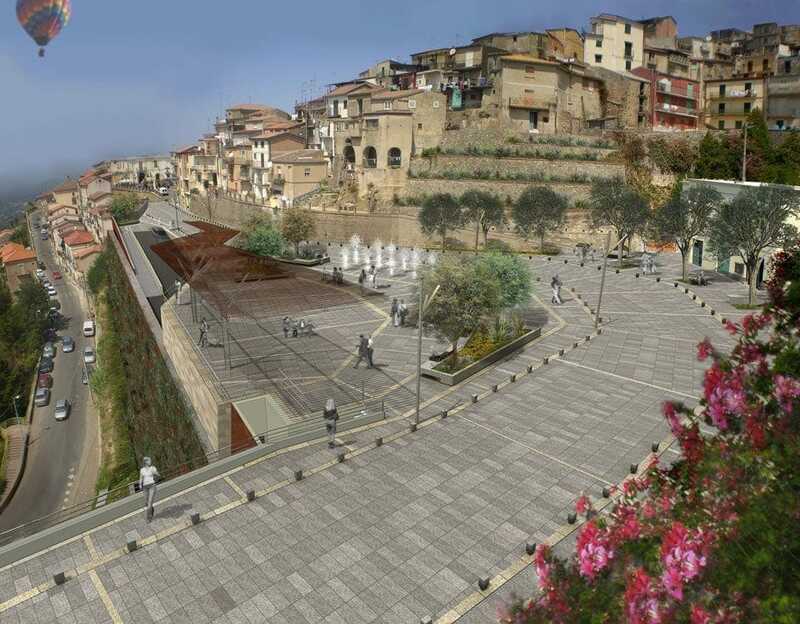 The urban renovation project for the historical center of San Giorgio Morgeto was aimed to find a unified solution for two different problems. 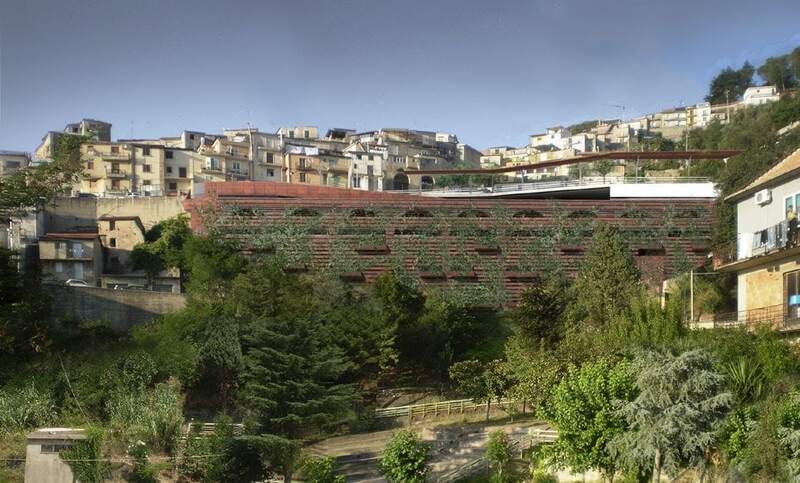 The first is the completion of a large multistory car park and the mitigation of the visual impact of its facade, over 70 meters long and up to 21 meters high. 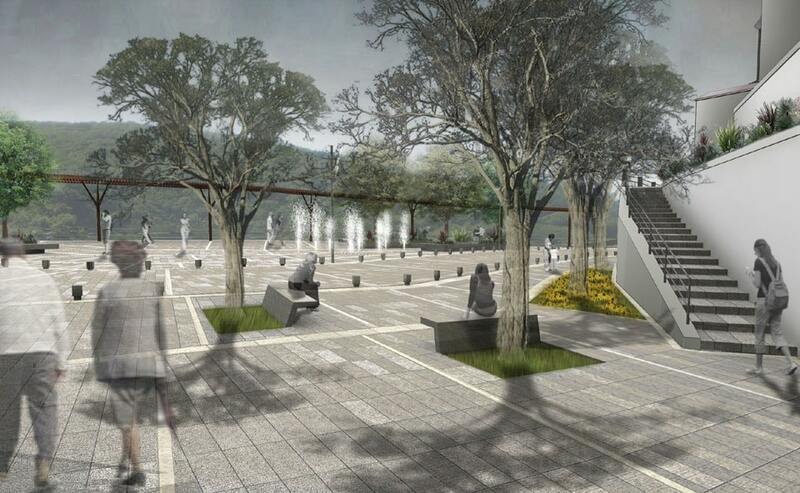 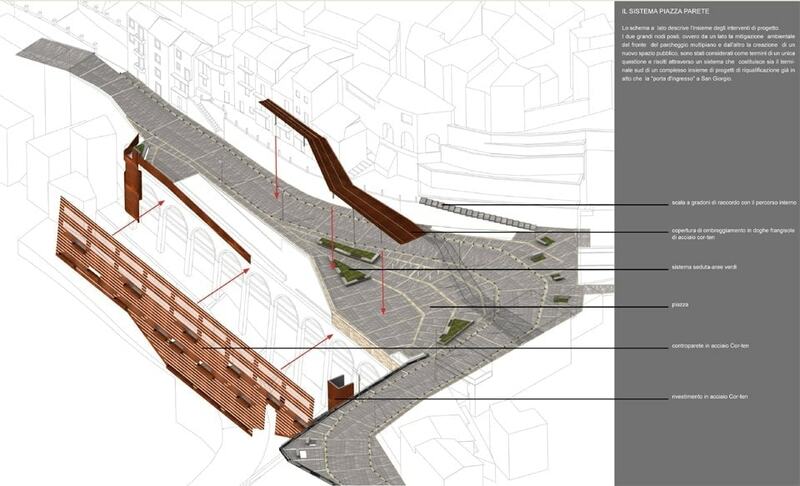 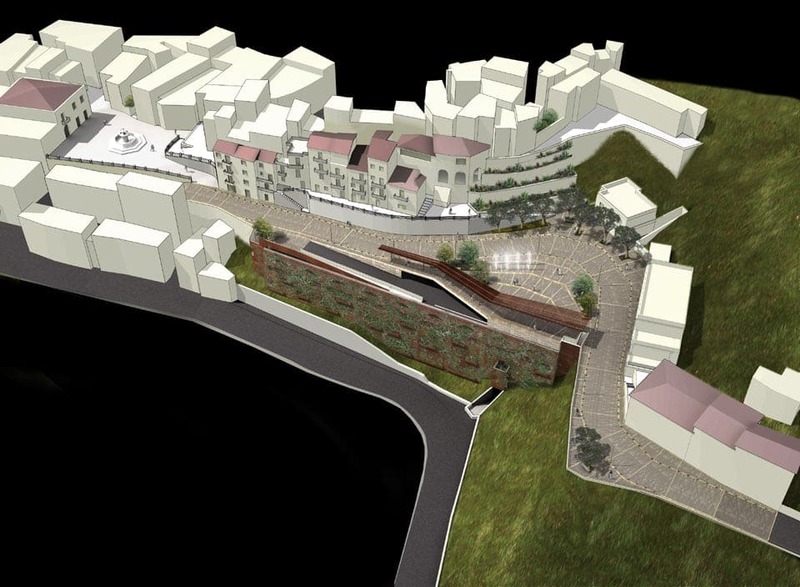 The second is the creation of a new pedestrian public space in the heart of the town. 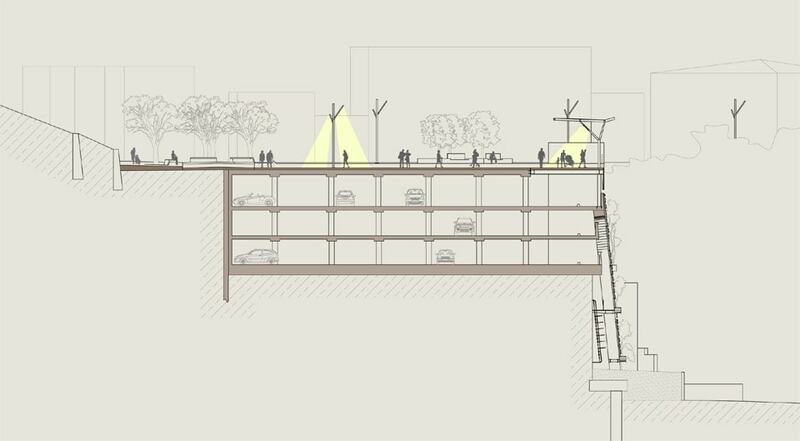 Ideally, the vertical plane of the new green facade of the car park and the horizontal one of the new square are two part of the same surface, as they were a single folded sheet.